The Fall collections are already hitting stores, which means a boon for any of you looking to refresh your warm weather wardrobes. 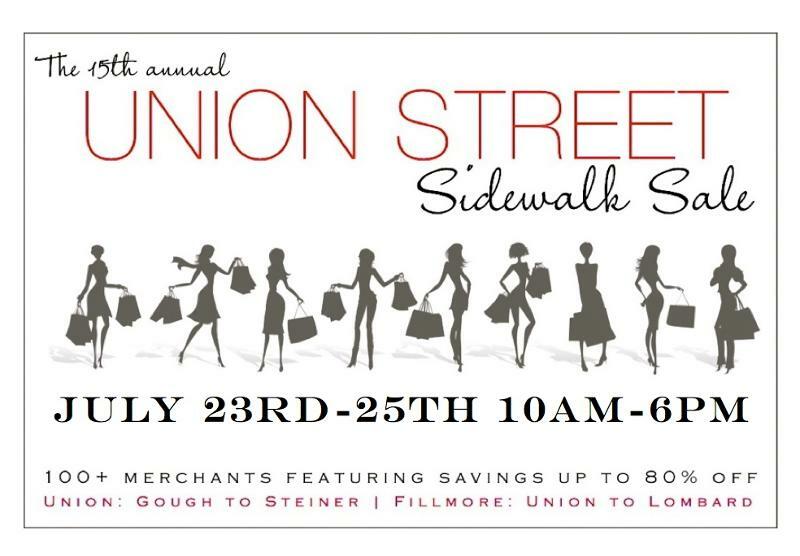 Retailers are unloading summer stock to make room starting today with more than 100 shops in the Marina at the annual Union Street Sidewalk Sale. Really, the sale, which continues throughout the weekend, is just an excuse for me to head out to That Takes the Cake bakery, also on Union, where couple Brian and Keisha Williams whip up some of the best cupcakes in the city (Sorry Kara’s devotees!). I love this locally owned spot so much that I hired them to create a gorgeous mini cupcake bar for my wedding in January, which some of my guests are still asking me about. Do yourself a favor and head out for some shopping on Union Street this weekend and a sweet bite at this haven of deliciousness. Another amazing sale you won’t want to miss is the Barneys New York Warehouse Sale coming up July 29 to Aug. 8 at the Fort Mason Center Herbst Pavillion. Designer goods are 50 to 75% off. Having gone before, my tips are: Get there early for the best stock (they usually put out new items each morning), wear something that you can easily try other clothes over or under (i.e. a skirt so you can slip on a pair of pants without needing a dressing room), and prepare yourself mentally for the shopping madness! 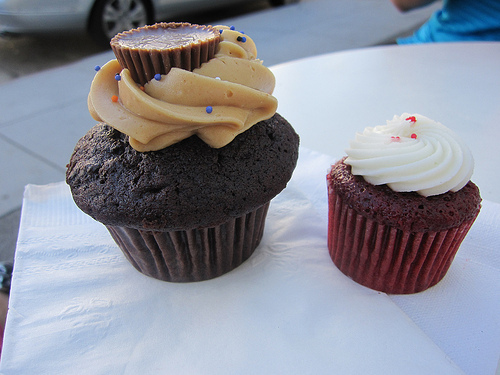 I didn’t like cupcakes until I tried their store. It’s all about either blonde bombshell or gentlemen prefer red. Gentlemen prefer red (Red Velvet) is amazing. I just found out too that Tutti Melon has red velvet flavored yogurt. Delish.